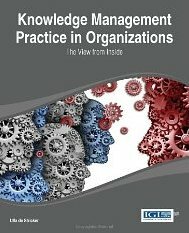 I just finished reading Knowledge Management Practice in Organizations: The View from Inside edited and written by Ulla de Stricker with chapters by Cynthia Shamel and other KM pros (2013). In The Librarian’s Skillbook, we talk about 51 skills to acquire and hone, many of them in parallel or related careers. 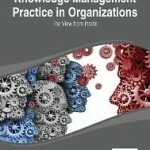 Knowledge management or KM is one of those (see Skill #8). There is much written out there on KM, but I wanted to share about this book. I’ve consulted on many KM projects and wish I’d had this book at hand. It’s the equivalent of a trusted advisory board whose deep expertise and experience in KM provide a roadmap, how-to manual and real life case studies to guide the KM practitioner. Whether one is justifying KM ROI, assisting with an organizational culture shift, or rolling out an enterprise social network, this book has it all. Want to succeed in KM? Read this book, mark it up and make notes in the margins. The knowledge you gain will not be obsolete next month or next year as the principles in this book are sound, far reaching and provide a solid KM foundation. There is much written about KM, but jam-packed, practical wisdom both on the pedagogical and real world levels, sets this book apart from other KM works out there. Whether you are new to KM or experienced in the field, this book is your guide to getting it right. It is for clients of KM consultants, consultants themselves, and organizational KM teams, leaders and practitioners. What resources do you consult for your KM initiatives? This entry was posted in Skillbook Blog and tagged KM, Knowledge Audit, Knowledge Management, Knowledge Services, KS by skillbook51. Bookmark the permalink.